To stand out in a competitive industry, there are more than enough tools and technologies that you can use without suffering through a complete revamp of your system operations. 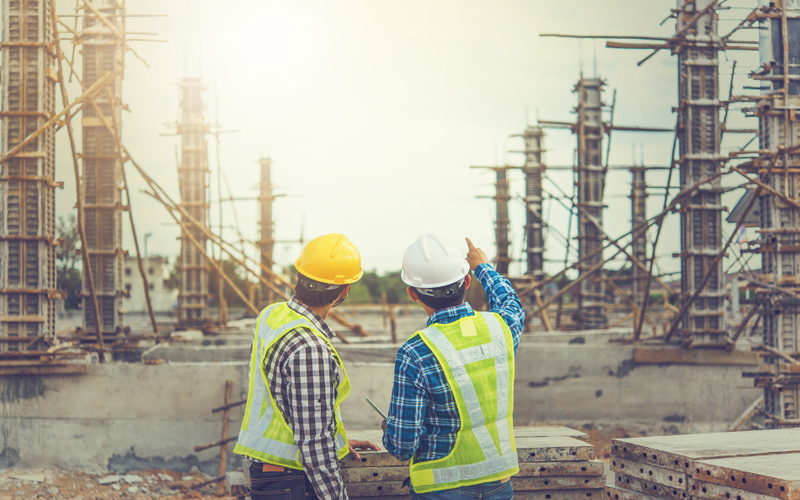 In this article, learn why and how you should strive to be an outstanding construction management and facility maintenance company. When something is described as “just okay”, it does not really tell us a lot about it. Most of the time, “just okay” denotes something as satisfactory, but not exceptionally good. “Just okay” means settling for something comfortable to avoid conflicts. “Just okay” is being too lazy to actually work hard to realise one’s full potential. In life, being “just okay” is acceptable in certain circumstances but for construction and facility management, especially in this day and age, it’s never okay. Poor organisation: The speed and scale required to deliver quality decision-making and procurement fall short. Inadequate communication: There is a gap in communication between project partners due to poor collaboration and inconsistencies in reporting. Flawed performance management: The lack of communication and accountability keep unresolved issues piling up. Contractual misunderstandings: Different teams handle the negotiation, execution and other aspects of the contract, which leads to confusion when a problem arises. Missed connections: Different levels of planning and management fail to update in real time. Poor short-term planning: Details are often overlooked on a daily basis. Insufficient risk management: Non-cohesive risk assessments fail to anticipate smaller issues that could pop up. Limited talent management: Traditionally, construction was a big boys’ club and companies tend to subcontract with people they already know rather than seeking the experts or the best for each job. There are more aspects to the industry’s “just okay-ness”, continue reading on the most common traditional construction problems to learn more. It wasn’t until recently that construction has progressed thanks to people who have been pushing the productivity envelope. Both construction and facility management industries have now slowly adopted technology and it’s causing an exponential change, making the infrastructure and maintenance markets highly competitive. With this new level of competition, being “just okay” will get you left behind. Project owners and industry consumers now demand quality and on-time delivery of their projects. Couple this with the rise in material costs and strict industry standards, it’s imperative for you as a business to aim for outstanding processes and procedures in your construction and facility management. They have highly collaborative teams. Highly collaborative teams mean that they are connected and communicating effectively each step of the way in a project. All changes are updated in real time so they’re always on the same page. This means, issues are resolved at the time they’re found out resulting to fewer reworks. They have happy project owners and clients. Companies that deliver projects well have happier project owners and clients. The more happy customers you have, the more returns you get, the more referrals you get, and the more long-term work relationships you get to establish. They have a safe working environment. Companies who push the envelope don’t settle for poor productivity and that means providing a safe working environment for their teams. The safer your worksite is, the lesser incidents you have to deal with, and everything is focused on productivity. Get a collaboration-focused management tool. Remember that in construction and facility maintenance, there are a plethora of tasks and teams involved. Miscommunication is the root cause of most errors. Cut down on this communication gap and connect all your teams to the correct people, plans, reports, and documents. Centralise all your data and communication and avoid all unnecessary losses. Get your people involved. When you get a tool or technology to improve your company processes, the only way you could get it to work is to involve your staff. Implementation and project success won’t be achieved unless you arm your most amazing resource with proper training and involvement. Related article: How to get your staff involved in your digitisation and digitalisation initiatives. Digitise and digitalise. Digitising your processes converts all your manual and physical paperwork into a digital format. Digitalisation is using your digital data to improve your processes. Once you have all this figured out, you can standardise your entire work process and methods. Further reading: Study what could be the benefits for you following digitalisation. Standardise. When you standardise your processes, methods and technology, you design a system for repetitive tasks and activities that allow you to track them effectively, thereby reducing errors and producing efficient work. Being “just okay” is easy and comfortable but you have so much more potential to explore. Surely, there will be challenges when you break out of the mold to strive to be outstanding in an emerging competitive industry. But you think you would be “just okay” once you get left behind? Work hard and be outstanding. You can always say “just okay” to any conversation you don’t care about. If you’re particularly interested in this topic and want to learn more, we actually wrote an ebook centered around how you can digitise your processes to meet your budget, delivery time, and compliance. 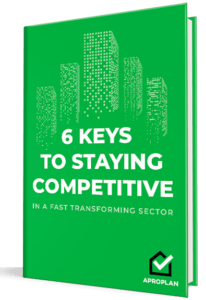 Download the 6 Keys to Staying Competitive ebook for FREE today!